The more you travel, the more people you get to know. And the more people you get to know, the more you learn to distinguish between them, recognising the patterns in both human behaviour and travelling psychology. We are all different types of travellers — solo travellers, social travellers, time travellers (is there one? I hope so!) — and yet oftentimes we blend all these patterns together in one form, creating a wonderfully unique and individual combination. Here are the 10 most common types of travellers that I have met during my trips. Can you relate to any of them? 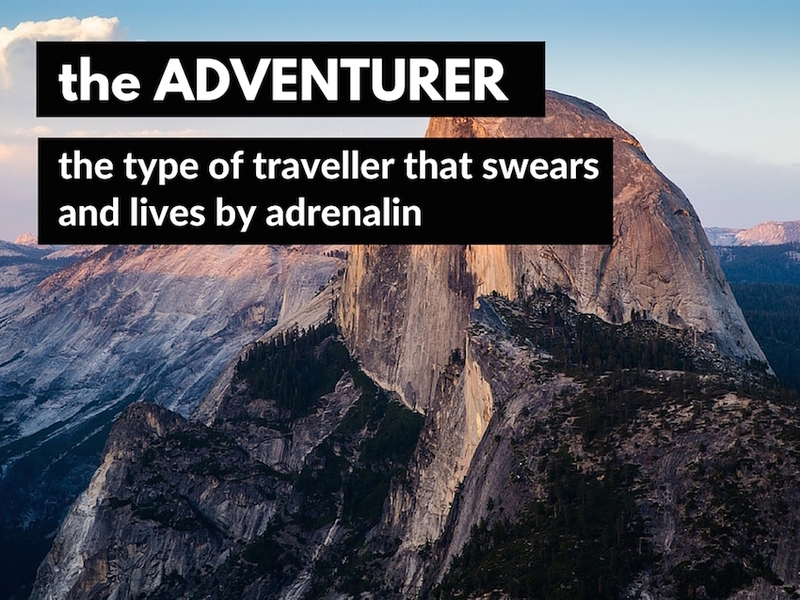 Also known as the adrenalin junkie, the adventure addict has an inexplicable desire to climb over fences, ride horses in the mountains, swim with sharks, jump from sky scrapers, eat the weirdest-looking food and put himself in the riskiest ever situations. This is probably the traveller with the most entertaining stories to tell at a tea party, though. Travels to cities to explore the nightlife. Wakes up, drinks. Eats lunch, drinks. Goes to bed in the morning. 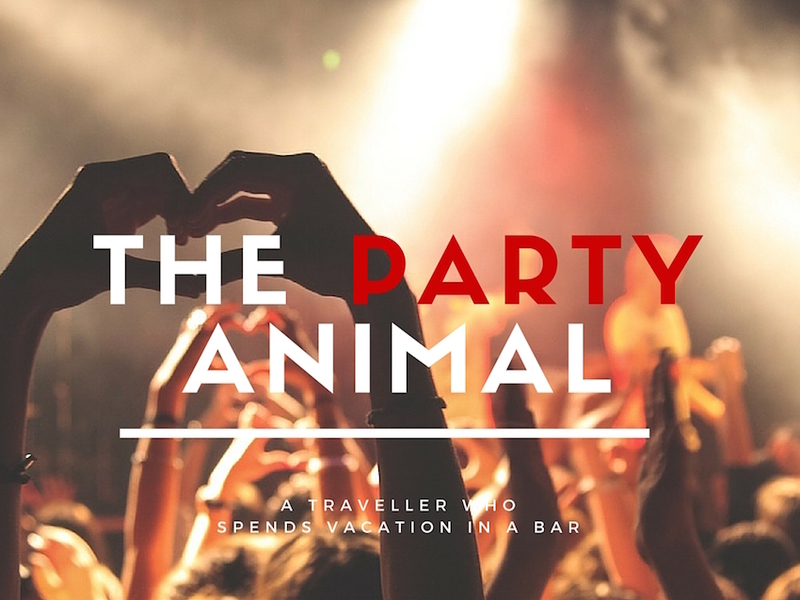 Living up to the definition of a social butterfly, the party animals learns a lot of people during his travels and yet never stays in touch with any of them afterwards. It’s the lightness of the excitement that fulfills him. Deep inside, each and every one of us is a bucket lister. 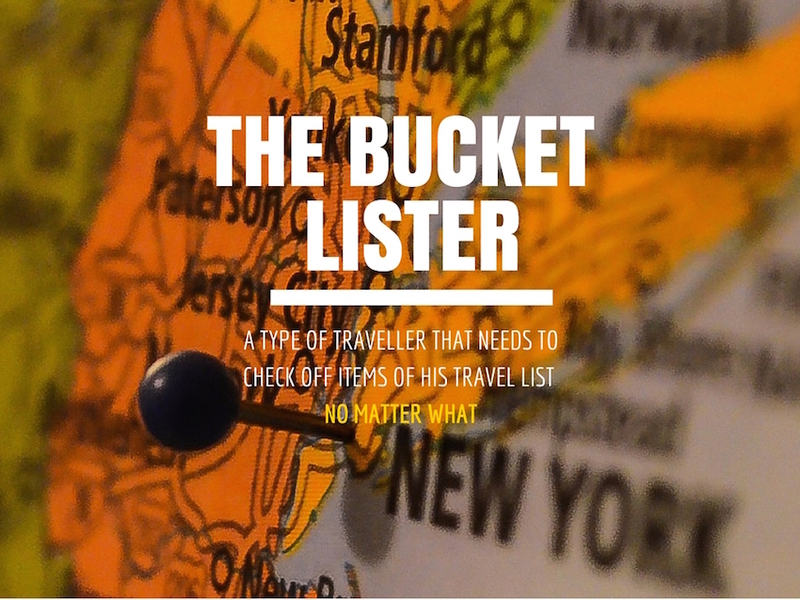 We all know how beautiful it feels to cross the places and activities out of the long list, but the real bucket lister traveller takes it to the next level. He is, in fact, obsessed with lists. He researches all the top-things-to-do and top-things-to-see for every city and makes sure that he follows them completely. Oftentimes, there’s a big risk that the bucket lister sees and does more than he actually experiences, but oh well. “To do” is what the lists are made for. Some of the loveliest people you ever get to meet on the road, the cute enthusiasts are enthusiastic about everything. Be it a new dish they just tried, or a new sight they just saw, they tell everything with such a beautiful sparkle in their eyes that it makes you say “awwwww”. Simply cute. This type of traveller just wants to relax and think of nothing. 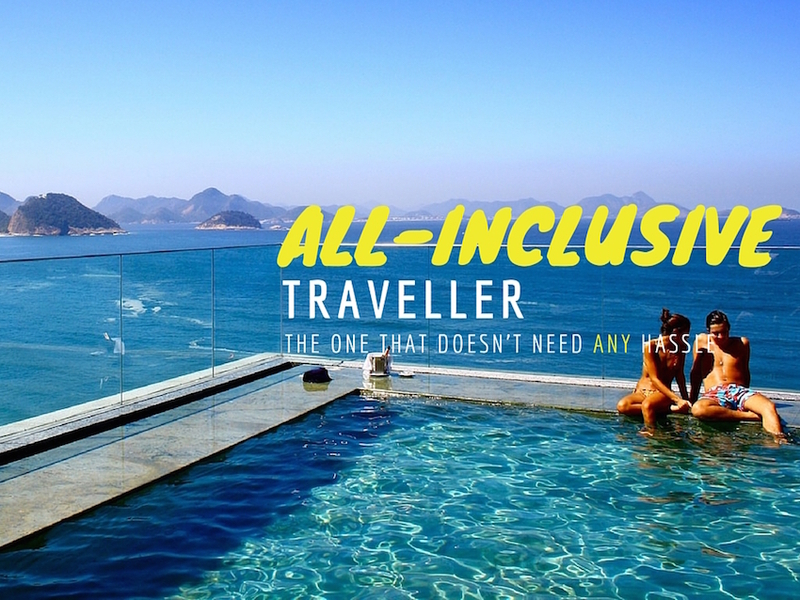 He doesn’t want to go through any hassle of researching and worrying, so he books all inclusive holidays and is happy to experience the life in its easiest (and the most pleasant) form. And who wouldn’t? 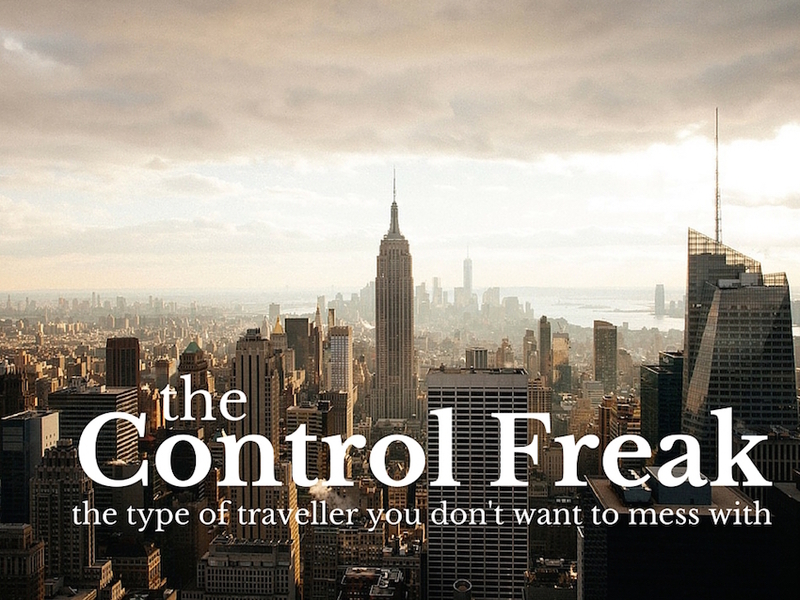 If you disobey the control freak, you won’t enjoy your vacation. But if you constantly do what the control freak tells you to, you won’t enjoy your vacations either. Being stuck with this type of traveller is probably the worst scenario ever. You can recognise him by his dreamy facial expression and a shiny guitar. He carries it everywhere. Why? Is he singing to the birds in the mountains? Is he playing along with the sounds of the noisy city life? Nobody knows. 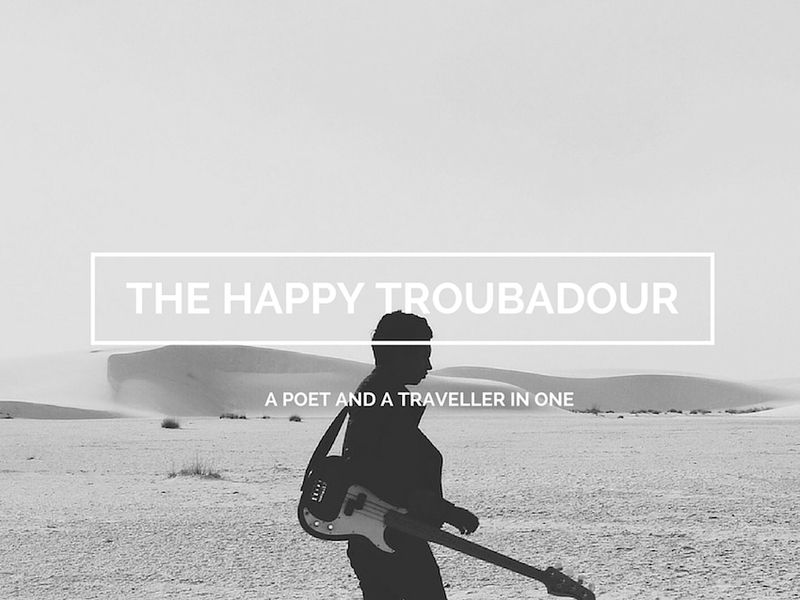 What we do know, however, is that the happy troubadour carries his guitar whenever he goes, in spite of how heavy his backpack might be. Strong. Independent. Courageous. 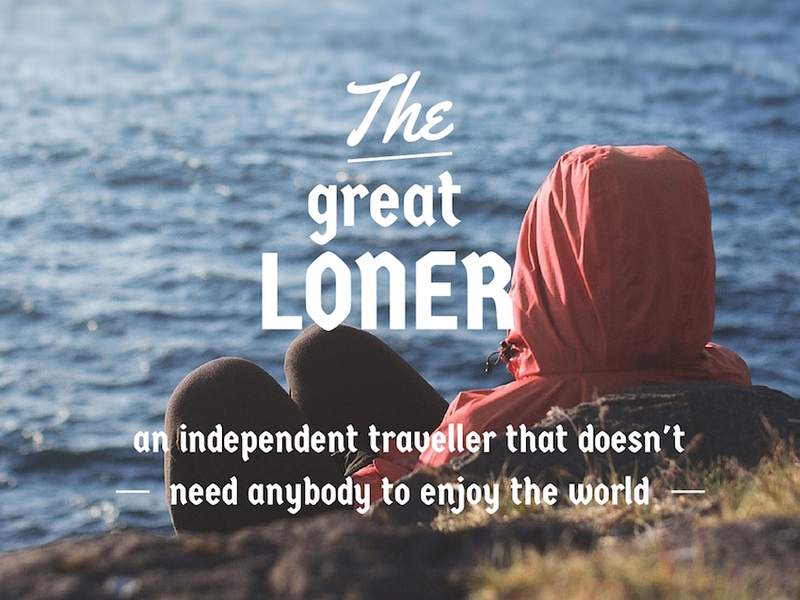 That’s how you can describe the great loner who, as a matter of fact, isn’t that lonely. He has the whole world in front of him, after all, and also, as ironical as it is, he gets to meet more people during his travels than anybody else. More often than not, the backpacker is also a solo traveller. 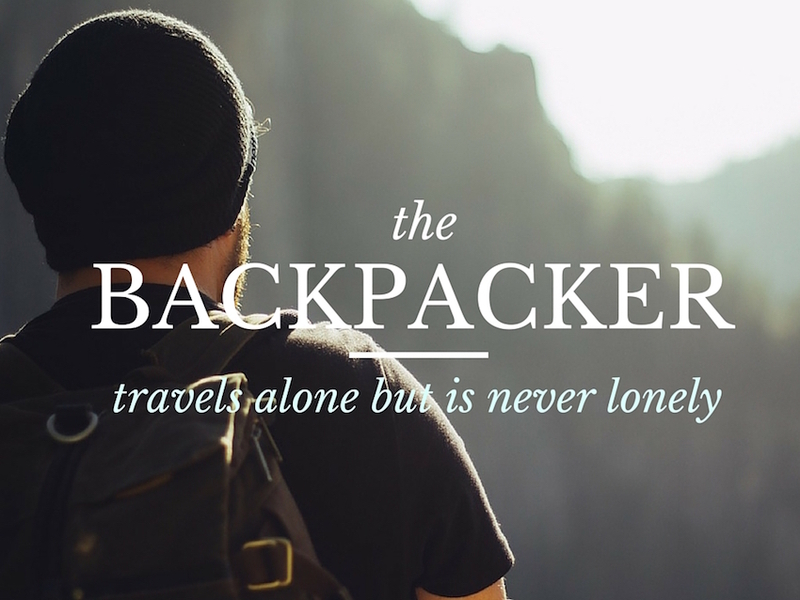 And yet here comes the paradox— the backpacker is never alone. There’s always his best friend and the most loyal companion with him: the backpack itself. This type of traveller is flexible, curious and, needless to say, very good at packing. He’s good at travelling on the cheap and tells the most interesting hitchhiking stories. No matter how much you try, you will never ever be able to surprise the ‘ve-seen-it-all with anything. Why? Well, he has basically seen, done and experienced it all: the temples, the churches, the palaces, the people, the local cuisine… Having visited practically every corner of this little world, he, nevertheless, speaks of his travels with serenity and modesty. Over to you! 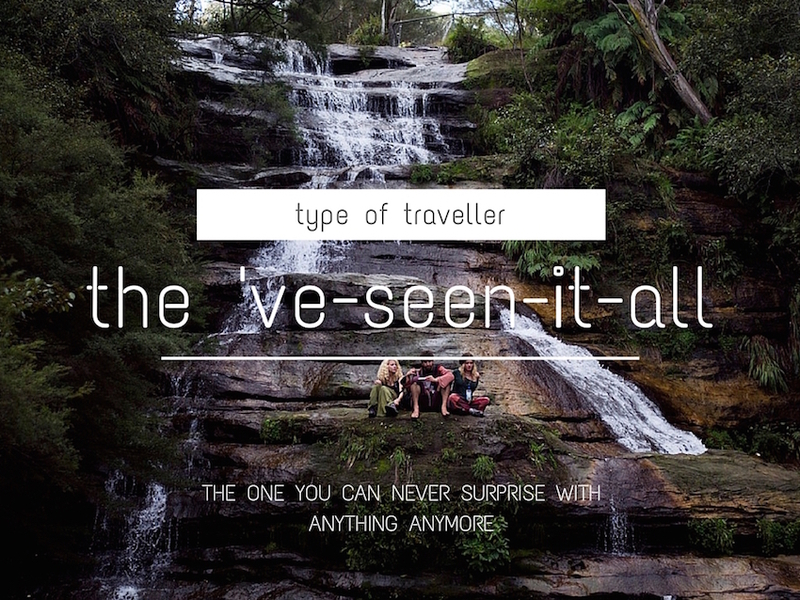 What type of traveller are you? For some reason I mostly meet party animals. No matter where I go: there is booze. Oh noooo, that must be quite annoying! How do you deal with it? Hmmm… I think I am a combination of the bucket lister, the cute enthusiast and the control freak. Depends on who you’re asking, though :) Which one are you? Oh, I am a mix of types, too! The cute enthusiast + the bucket lister + the great loner :D But I think it also depends on a situation, location, mood, etc. More often than not, it’s all circumstantial! 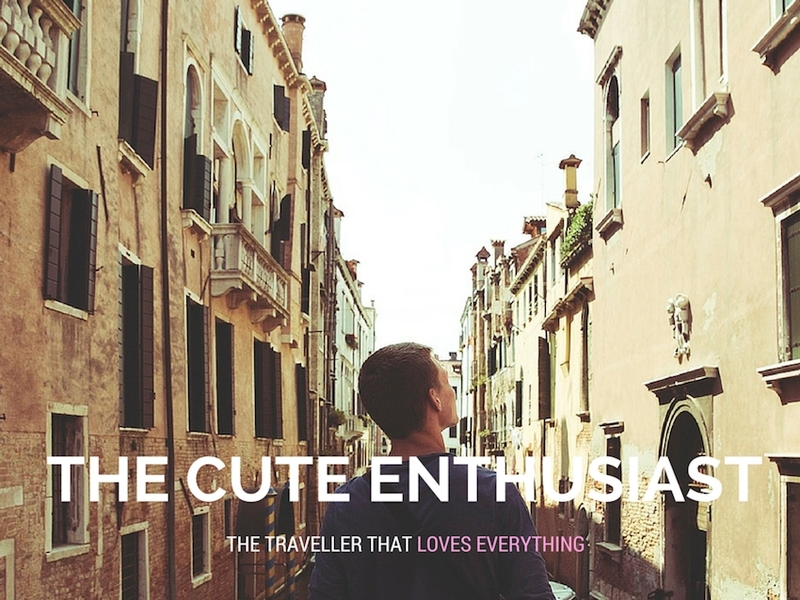 I’m definitely the “cute enthusiast” but, a bit of everything else too. Cool post. I’d like to be “The Backpacker” and “Cute Enthusiast” but sometimes I might either turn into the bucket lister, or the “I’ve seen it all” person. So you are a chameleon traveller then :) The one that has it all! I think I’m part “The Bucketlister” and the other part is “The Cute Enthusiast” trust me to be a bit odd lol ? Thanks for your comment, Grant! So true Olga, so very true thanks and talk soon ok. Very true Olga, till next time take care lovely lady. Fun list, hahaha! I must be the Cute one + the Troubadur (no guitar though, just my voice) + the Loner. But true, I have met an incomprehensible number of people through the years. And sometimes I can be a backpacker, other times, when I am booked for a gig, it’s all-inclusive. Definitely met all of these, on the inside I’m the enthusiast (that I need to let out) but I’m also the loner because everyone is always so surprised that I’m taking on the world alone.